What’s wrong with Hard Water? QUESTION: What’s wrong with Hard Water? 1. Will increase your soap and cleaning supply cost by 50%. 2. Requires additional time in cleaning your home. 4. Causes spotting on fixtures, glasses, dishes and silverware. 5. Increases the cost to heat your water by 22% if heating with electricity and 27% if heating with natural gas. 6. Makes washable clothing wear out faster. 7. Will drastically shorten the life of all your water using appliances. Omni Enviro’s H2O ENERGIZER HOME SYSTEM. With easy installation to a home’s main line, the Residential System improves the ability of water to dissolve waste and other compounds. Plus, this highly efficient water helps reduce water and energy costs, plumbing expenses, and chemical use. 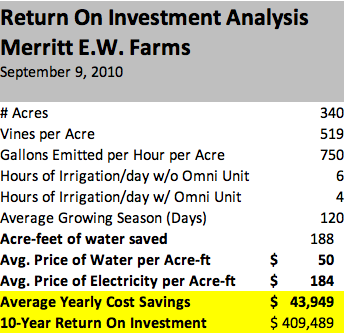 NEWS FLASH: 30% Savings in Water Use!